Did you know that you can freeze rice? Whenever we need rice for a meal I make a TON of it in the rice cooker. After we have eaten dinner I place the leftover rice in ziplock bags and freeze it. That way we always have cooked rice on hand and I don't need to set up the rice cooker each time. The same goes for fried rice. If you make too much fried rice, or you have leftover fried rice from the Chinese takeaway, you might consider freezing it. Then you can enjoy it as a snack sometime in the future. 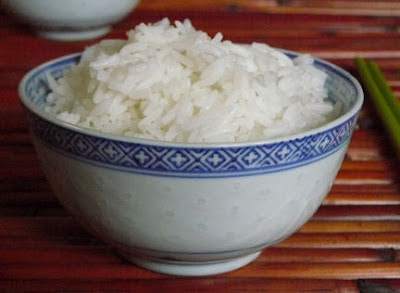 One more tip: if you're feeding a baby or toddler I recommend spreading some cooked rice onto a tray and freezing it. When it is frozen you can break up the frozen rice, place in a ziplock bag and return to the freezer. You can then easily add it to your baby purees or toddler meals.